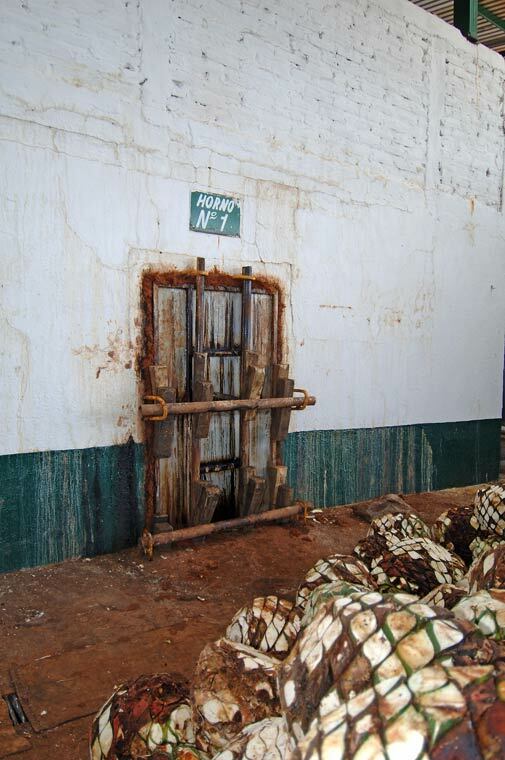 Traditional adobe oven (horno) used to cook the raw agave hearts (piñas). 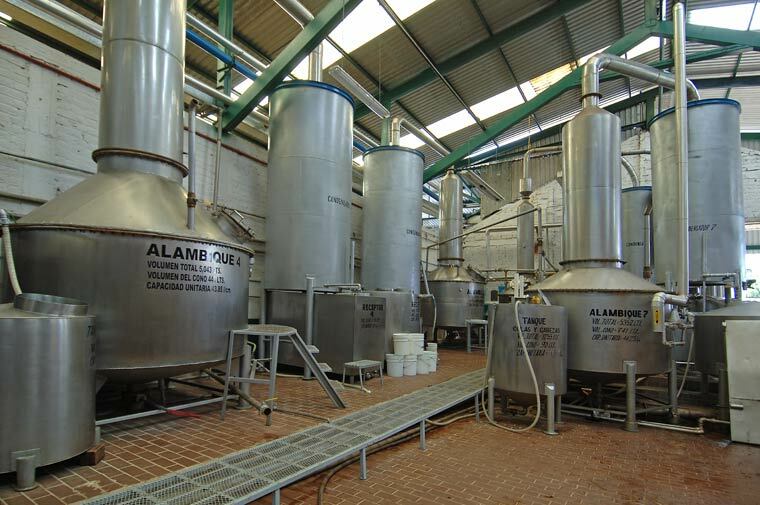 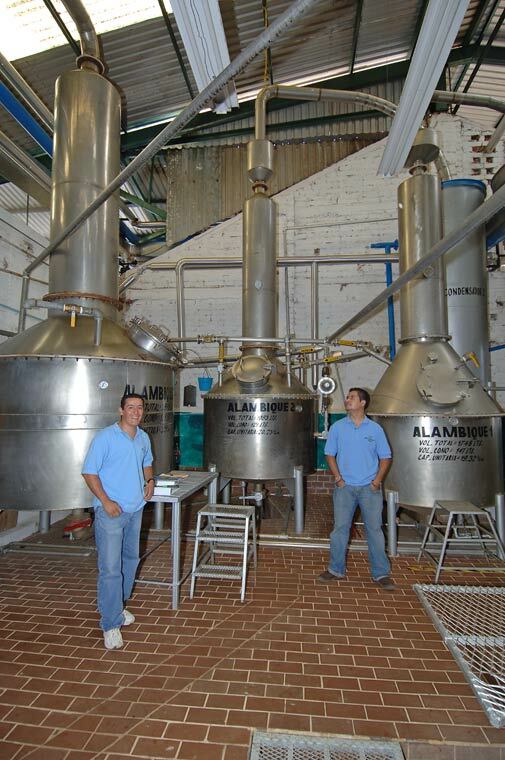 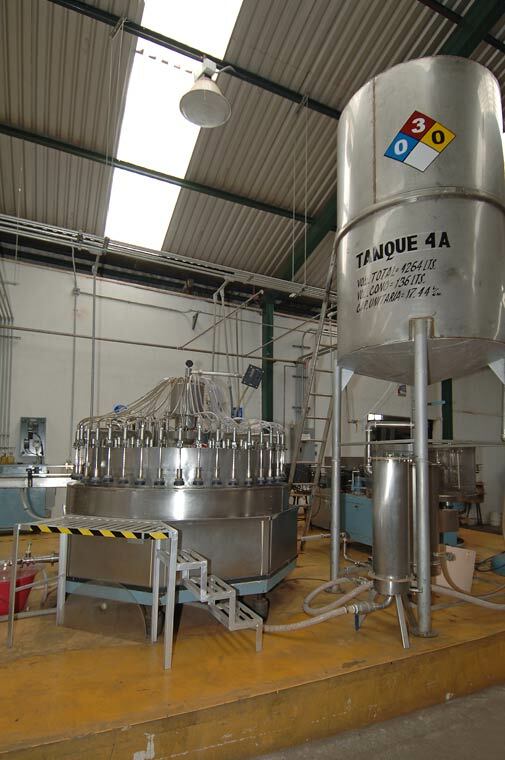 Stainless steel alambiques (stills) are used to distill agave mosto. 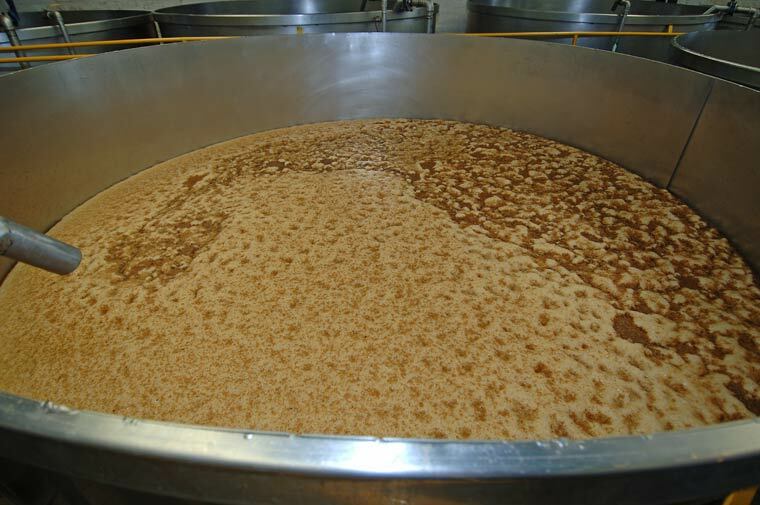 Mosto (must) ferments in stainless tanks prior to distillation. 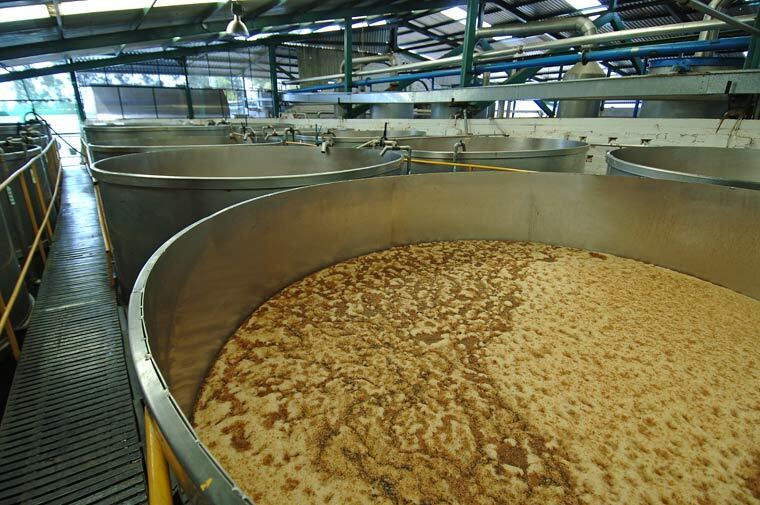 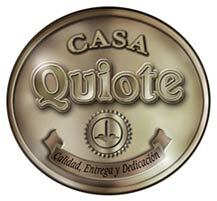 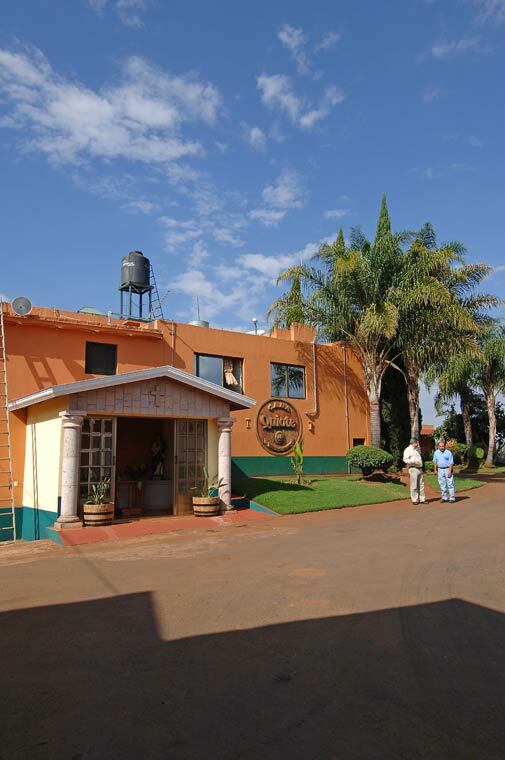 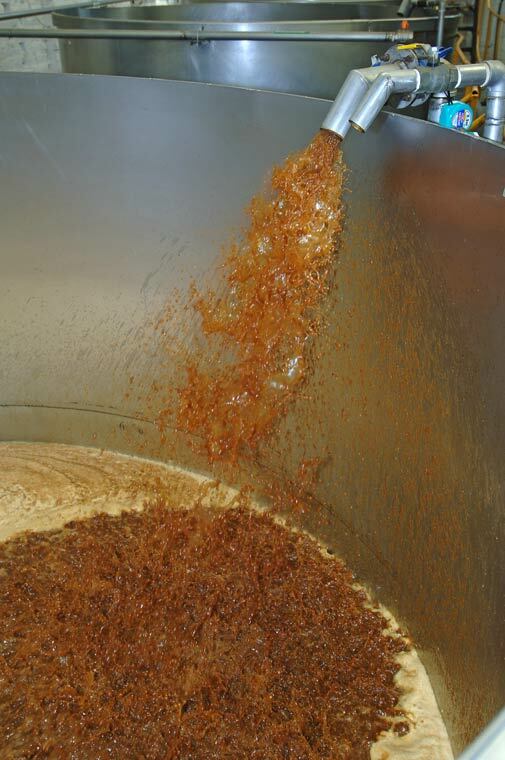 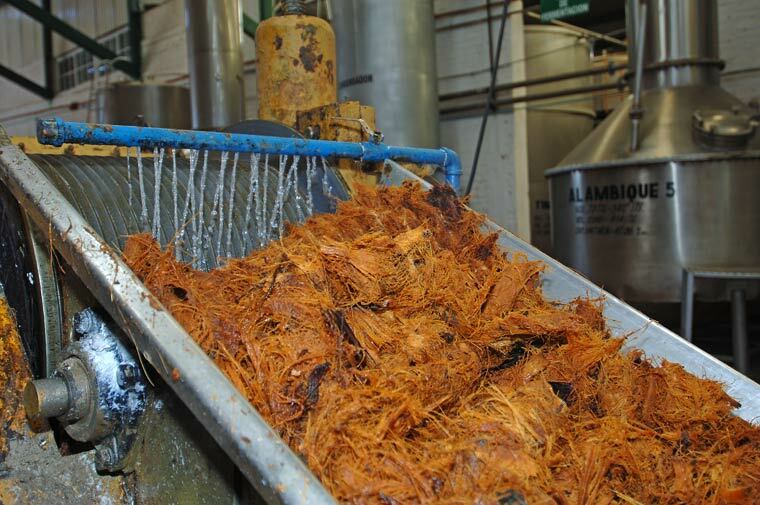 Crushed agave is processed on a conveyer as the juice is extracted from the cooked agave. 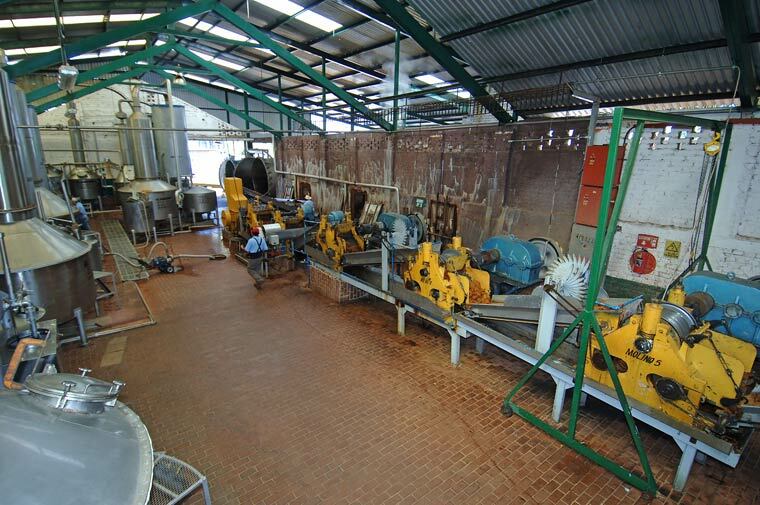 The processing area with the shreading machine used to process cooked agave hearts. 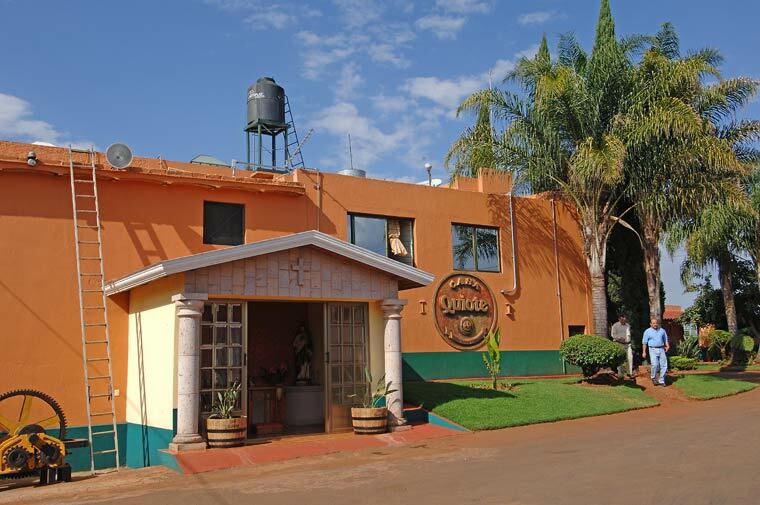 Entrance and courtyard at Casa Quiote in Atotonilco el Alto, Jalisco. 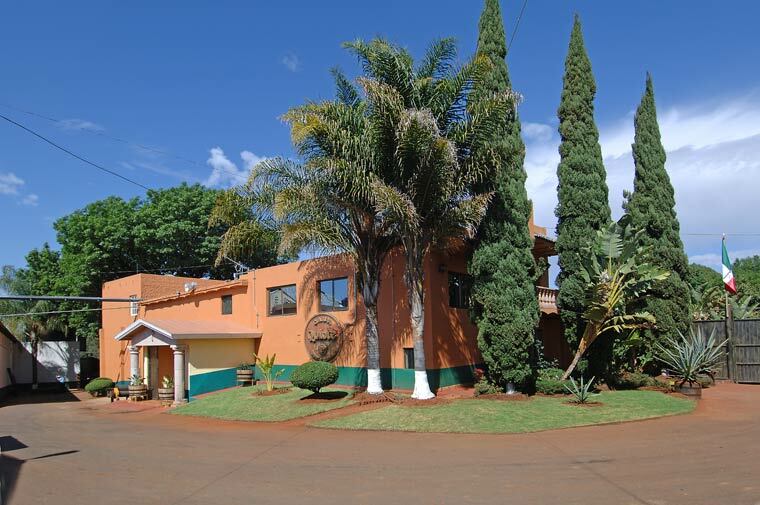 The Jalisco Highlands. 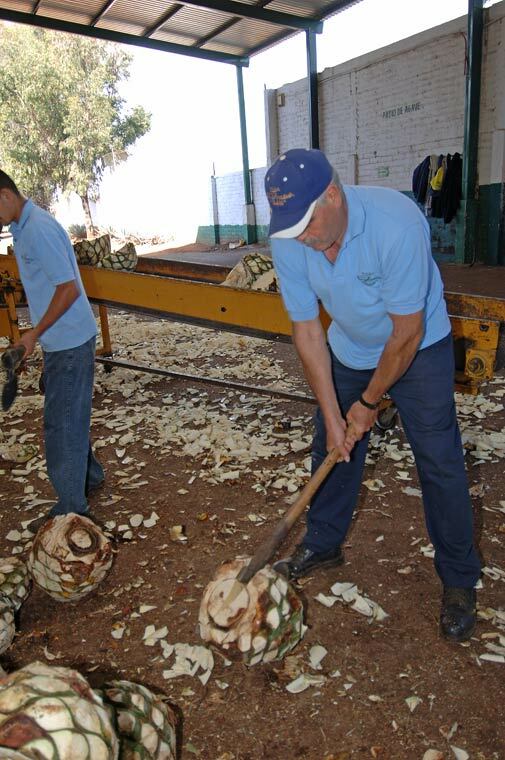 Workers split the agave hearts before they are cooked in adobe ovens or stainless steel autoclaves. 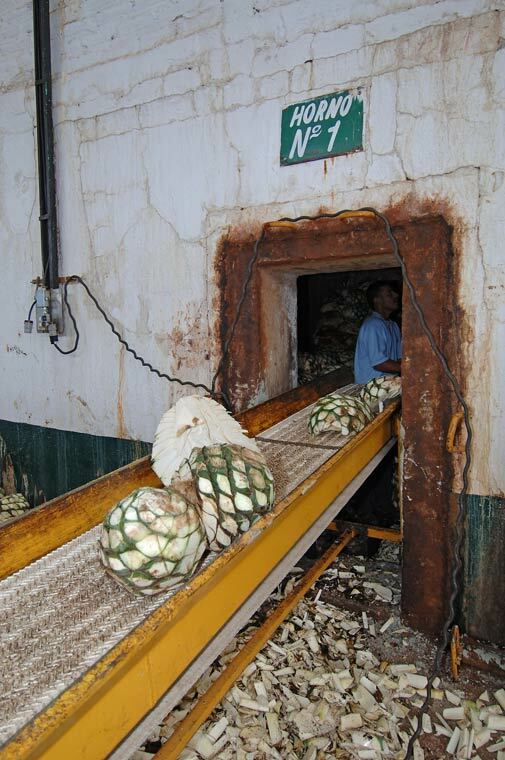 Raw agave hearts (piñas) are loaded into a traditional adobe oven (horno) to be cooked prior to processing. 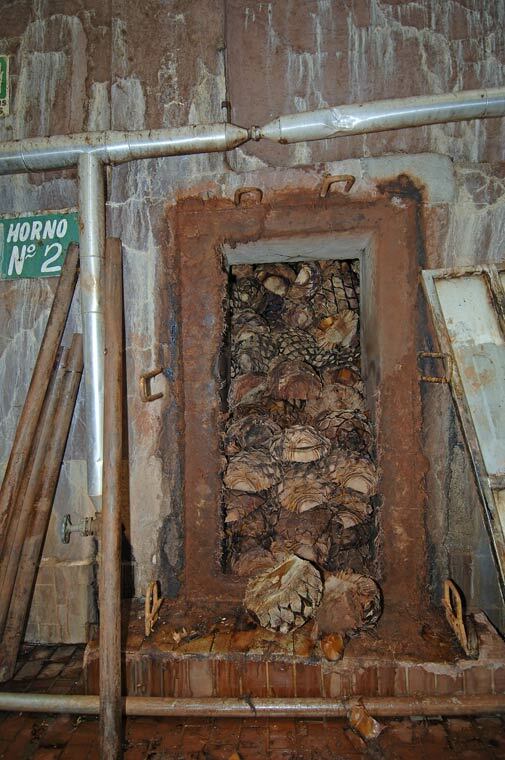 Traditional adobe oven (horno) filled with cooked agave hearts (piñas). 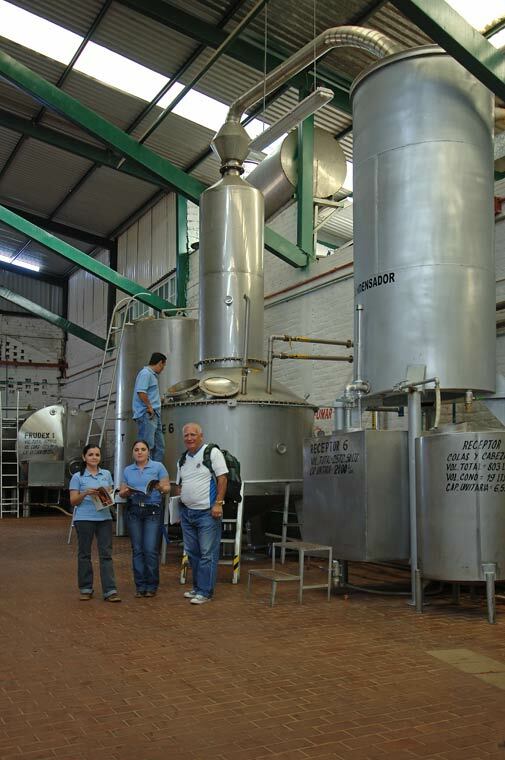 Agave mosto (must) is pumped into stainless steel tanks for fermentation prior to distillation.